New Delhi, April 02: Delhi Capitals were 144 for three while chasing a target of 167 against Kings XI Punjab on Monday, but the team suffered from a shocking collapse, losing seven wickets for eight runs in 17 balls. Sam Curran was the hero for Punjab as he took a hat-trick for Punjab, enabling his team's win by 14 runs and restricting Delhi Capitals to the worst ever collapse for a team in IPL history. Given below are five more instances when a team suffered a staggering collapse. 1. Deccan Chargers lost seven wickets for 12 runs in IPL 2009: While chasing a score of 174, Deccan Chargers were in a comfortable position as Adam Gilchrist smashed a 24-ball fifty, but the team suffered from a collapse as Delhi's Rajat Bhatia wreaked havoc on the batsman staging Deccan Charger's collapse and the team lost seven wickets for twelve runs handing Delhi a win. Sam Curran Performs Bhangra With Preity Zinta As Kings XI Punjab Wins Against Delhi Capitals by 14 Runs in IPL 2019 Match (Watch Video). 2. Rajasthan Royals lost six wickets for seven runs against Royal Challengers Bangalore in IPL 2010: Royals went from 85 for four to 92 all-out as Praveen Kumar staged Royal's collapse. RCB easily chased down the target of 93 with nearly ten overs to spare. RCB lost their last six wickets for just seven runs. 3. Pune Warriors lost six wickets for seven runs against Sunrisers Hyderabad in IPL 2013: Pune Warriors were 101 for four in pursuit of 120 runs, but they lost their final six wickets for seven runs. Amit Mishra produced a hat-trick to give Hyderabad a win in the match. 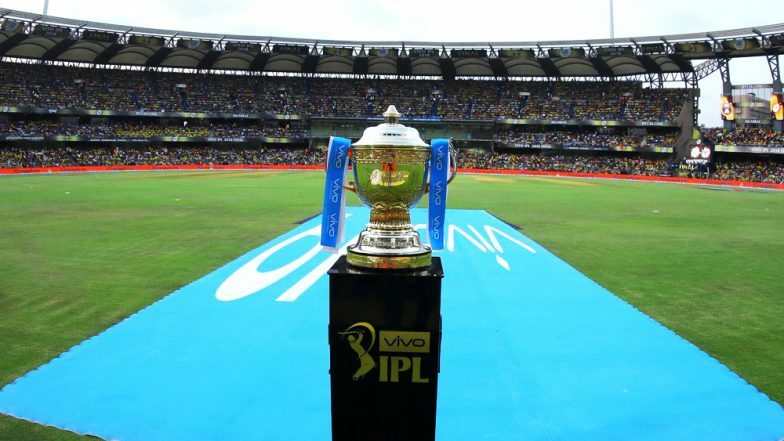 RR vs RCB, Toss Report and Playing XIs Live Update: Ajinkya Rahane Wins the Toss, Opts to Bowl; Marcus Stoinis Included in RCB Squad. 4. Rajasthan Royals lost eight wickets for twenty-nine runs against Mumbai Indians in IPL 2008: Rajasthan Royals were going through a tremendous run in the tournament winning five matches in a row. The team had got off a to a good start after an opening partnership of 53 runs. But the Mumbai bowling lineup knocked over Rajasthan for just 103 runs. The team went from 74 for two to 103 all out. KXIP vs DC Stat Highlights: Kings XI Punjab Bowlers Led the Team to 14 Run Victory against Delhi Capitals. 5. Deccan Chargers lost five wickets for one run against Royal Challengers Bangalore in IPL 2008: Adam Gilchrist and Herschelle Gibbs had put up an opening stand of more than 100 runs. But the team's lower and middle order failed to live up to the expectations. From 164 for five, Deccan Chargers were bowled out for 165.